Betting on the NFL typically involves a point spread. This is a handicap that the odds makers place on the game to make an otherwise lopsided game more even. This is known as spread betting. The Spread or Line indicates which team is expected to win the game. For example, let’s say the Dallas Cowboys are playing at Home against the New York Giants. The odds maker may decide the Cowboys are the slightly better team and with the home field advantage they need to give the Giants a 3.5 point head start to make the game even. With this spread, if you bet on the Cowboys, they will need to win the game by 4 or more points for your bet to win. This is known as “covering” the spread. As the line is a half number there is no chance of a tie, so the bet will either win or lose. Sometime the odds maker will set the line at an even number like 3, 7 or 10. In this case there is a chance of a tie. And the game ended with a score of Dallas 24, New York 21, this would be a “push” and the bet would returned. Occasionally there will be a very evenly matched game known as a “pick-em” where there is no spread. In a pick-em game the team that wins, wins the bet. Now you will notice when you look on a sports book that there is always number in brackets attached to the line, for spread betting this line usually starts at (-110) this indicates that you will need to wager $110 to win $100. Similarly if the line is (-145) you will need to wager $145 to win $100. Other times you will see a + sign next to the odds, expressed as (+175) the plus indicates that your payout will be greater than your wager. If you wager $100 at (+175) your payout will be $175. Consider this, if you are betting lines of (-150) you will need to win 67% of your games just to break even! When NFL Spread Betting in years past, there was typically no option for shopping around for the best lines, if you wanted to place a bet you would have to take whatever odds your local bookie or betting establishment was willing to give you. When NFL Spread Betting in today's betting markets, shopping for the best lines is as easy as opening a new web browser. 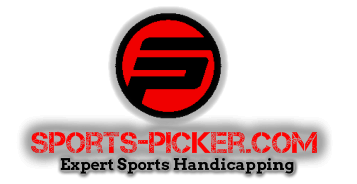 As a professional sports handicapper I hold accounts on at least 5 different online sports books at any given time. This gives me the best options to find the best lines when selecting my plays for NFL Spread Betting. I recommend that any newbie or novice bettor have at least 3 accounts to compare lines and always follow a basic money management strategy. Hopefully this article was helpful for anyone new to betting NFL or College Football.